Slate is basically a foliated metamorphic rock, which is formed out of volcanic lava that has settled above clay deposits. Further heating and drying of the latter lead to its formation. It is a good conductor of heat, and bears natural anti-skid properties. Besides, slate is also easy to clean and has low water absorbing capacity. Interesting properties, such as resistance to chipping, abrasion and cracking make Raja red slate a preferred material for outdoor and indoor installations. Slate has been used for a number of applications in the construction sector. Apart from being used as material to create roof shingle, slate is also considered as a low-maintenance flooring material. In addition to paving and wall cladding, Raja red slate is used to build shower enclosures and pool surrounds. Creation of tombstones, gravestones and memorial tablets are to name a few of its other applications that fall under the category of stone articles and monuments. In India, slate deposits are concentrated in the states of Himachal Pradesh, Rajasthan, Madhya Pradesh, Haryana and Andhra Pradesh. A few South Indian states also have reserves of slate. However, Indian state, which has the largest slate reserve, is Rajasthan that also produces export-quality slate. Under two broad categories, namely North and South Indian; slates naturally occur in different color combinations and patterns that are further processed and finished as per the requirement. A few of these are highly popular not just in India, but in numerous countries across the globe. One such variety is Raja Red slate from Regatta Universal Exports, a 17-year-old manufacturer and exporter of Indian natural stones, which has its own slate manufacturing factory in Rajasthan. 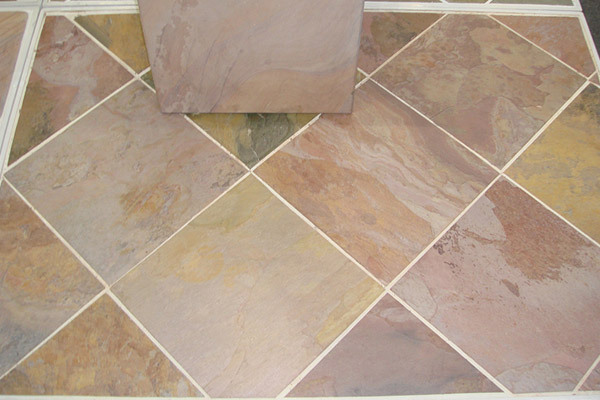 This unique slate exhibits exceptional combination of colors and design pattern. With beautiful shades of grey, red, golden and other several colors, this natural stone can easily boost the aesthetics of any space. When honed, Raja Red showcases a striking three-dimensional pattern of wave-like structures that is truly captivating. 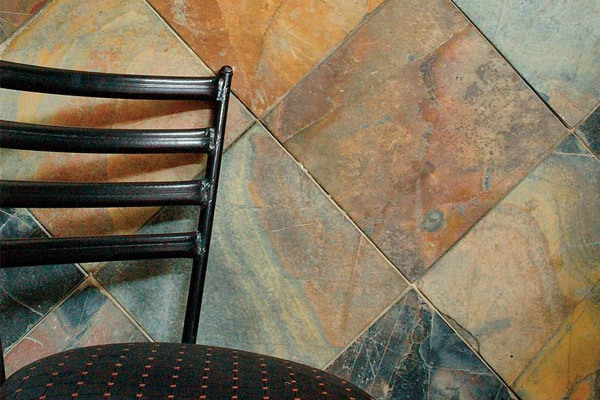 Wherever it is installed, this slate is sure to bring the stately charm to any interior or exterior. Whether it is about paving, wall cladding or flooring, Raja Red simply brings some sort of uniqueness to the place of its installation. In addition to its amazing looks, Raja Red exhibits properties of a slate that make for a perfect construction or decorative material. To learn more about this product, kindly visit the official webpage of Regatta Universal Exports. Supplying Indian natural stones to almost every country in the world, Regatta offers the best-in-quality Raja Red slate products at highly competitive prices.